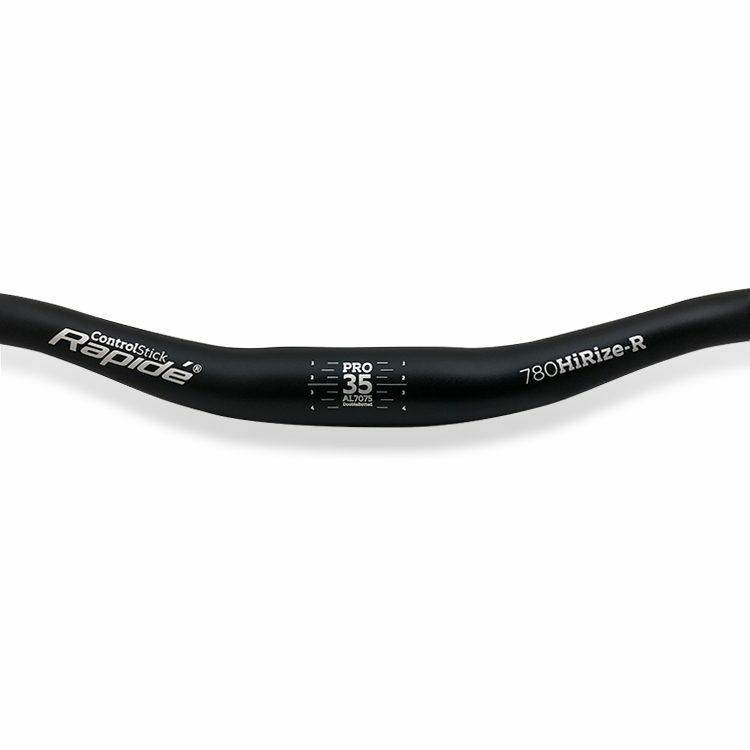 With a full 780mm width and 25mm rise the Rapidé PRO35 High Rize-R bars give you more stability in the rough, more room to maneuver, more room for optimum control placement, more leverage, more corner speed! The 9° back sweep, 5° up sweep combination the Rize-R gives you the shape that works so well on the trail. The larger 35mm clamp area provides greater stiffness to counteract the increased leverage created by wide bars. 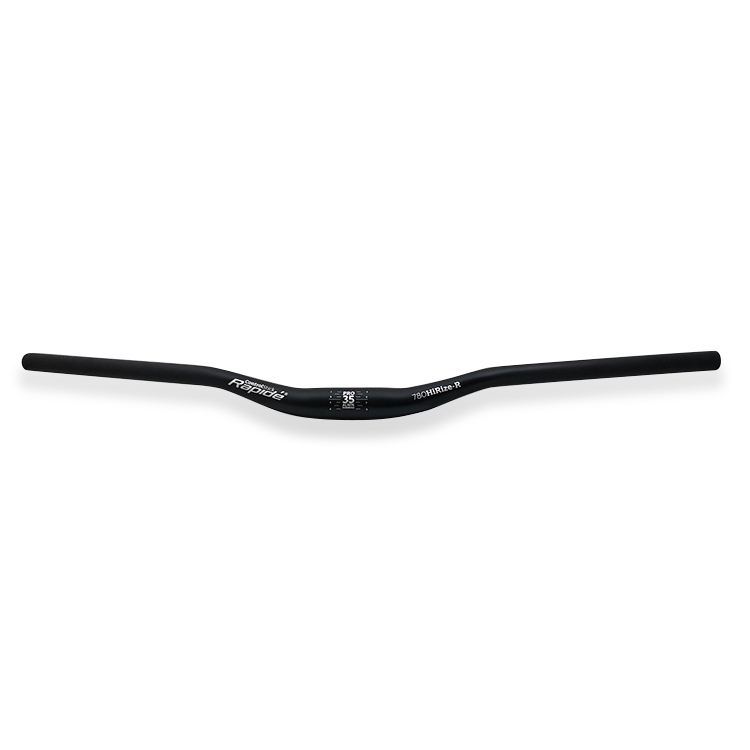 To keep weight in check and prevent the bars becoming overly harsh we have built the Rapidé PRO35 High Rize-R 780 Bars out of an advanced double butted and heat treated AL7050-T6 alloy for superior strength and fatigue life. Strangely enough I went from 800 riser bars to this. Fits me a lot better. 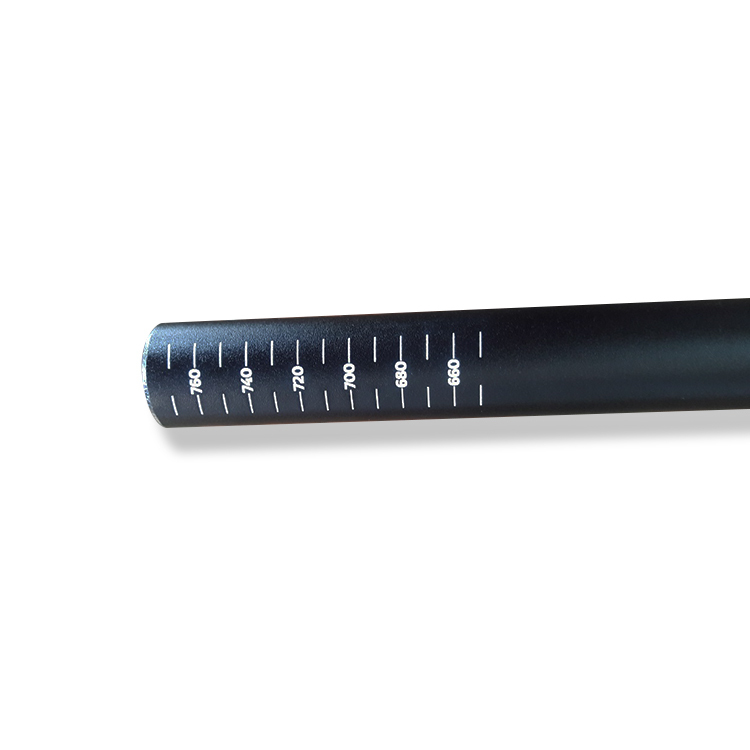 But this product is really nice, solid, clean and has all the marking you could need if you wanted to cut it or ensure that the bar is center to your stem. Big fan of this, highly recommend it!